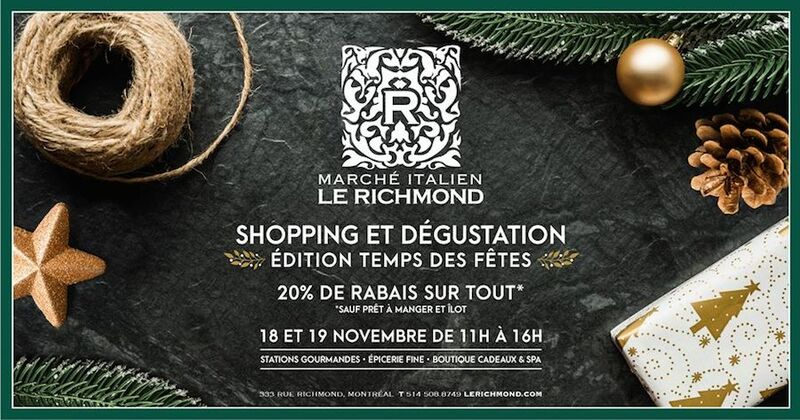 Kick off your Christmas shopping in style at le Marche Italien Le Richmond this weekend! Beginning Saturday, November 18 and running until Sunday the 19th, the Richmond Market in Grilffintown is offering 20% on all product purchases at the market (excluding ready-to-eat, takeout meals), ideas for pitch-perfect Holiday meals as well as samples of the products they offer while you complete your round of Christmas shopping. For more information visit the event’s Facebook page here.